Bishop Doeme is currently taking refuge in the Nigerian state of Adamawa, together with thousands of faithful, Fides news agency reports. The bishop denounced Boko Haram in an interview with the newspaper ThisDay. He said most of the refugees in his area escaped being murdered by Boko Haram, but many families were separated while fleeing. Now parents are seeking to find their lost children. The tragic situation facing the refugees is the focus of a document “Adapting Our Lives to the Ongoing War,” by Caritas Nigeria and the bishops’ Justice and Peace Commission. “The simple truth is that Nigeria is at war,” the document states. The militant group Boko Haram has killed thousands since its uprising began in 2009. The terrorist group, which aims to impost a strict version of Islamic law, notoriously abducted hundreds of schoolgirls in an April raid. 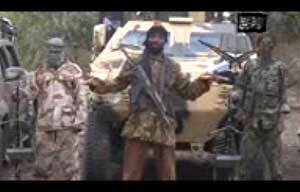 Earlier this week, some groups reported that Boko Haram had surrounded Maiduguri, the capital of Nigeria’s Borno State. However, Nigeria’s military said the city’s defenses could handle any attack. Previous PostMaking Windmills out of WarplanesNext PostWhere are Nicaraguan children?